During the EVE Fanfest 2012 its been revealed over the weekend that CCP will be releasing a precursor patch on April 24th in preparation for the release of their latest expansion, EVE Inferno which is expected to be arriving on May 22nd. CCP has also released a new trailer, announcing the arrival of new missiles and turret effects within EVE. You can watch it after the jump, but art shown is currently work in progress, and may not necessarily be representative of the final product, says CCP. CCP also explained in the Fanfest they are looking to re-balance the game’s entire range of ships, and provide players with an improved inventory management system, that will make it much easier to manage the updated ships. 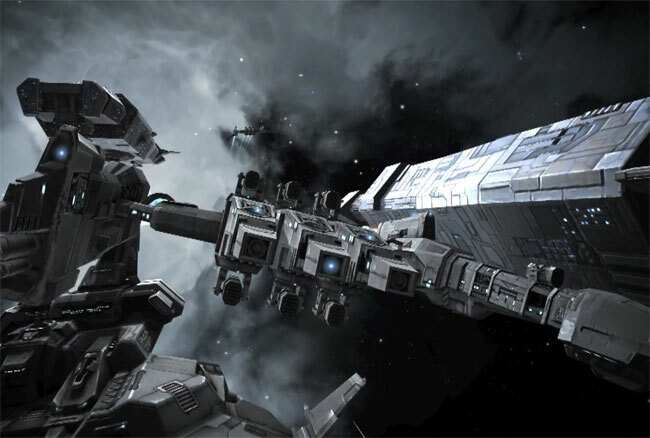 CCP explained they are also planning to rebuild the Faction Warfare system in Eve, which has long been requested by players. In addition to the new expansion arriving on May 22nd CCP has also revealed that other yet to be named content patches will be arriving in August and September, with the Winter expansion arriving in November.